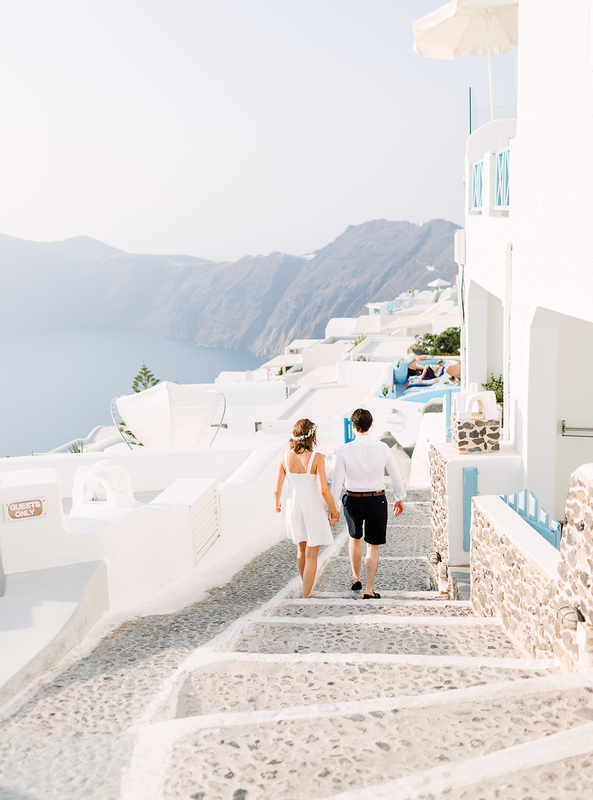 Whenever I see photos of Santorini I am always filled with complete wanderlust! 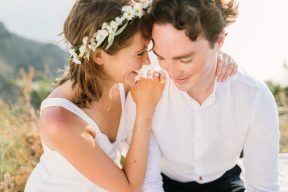 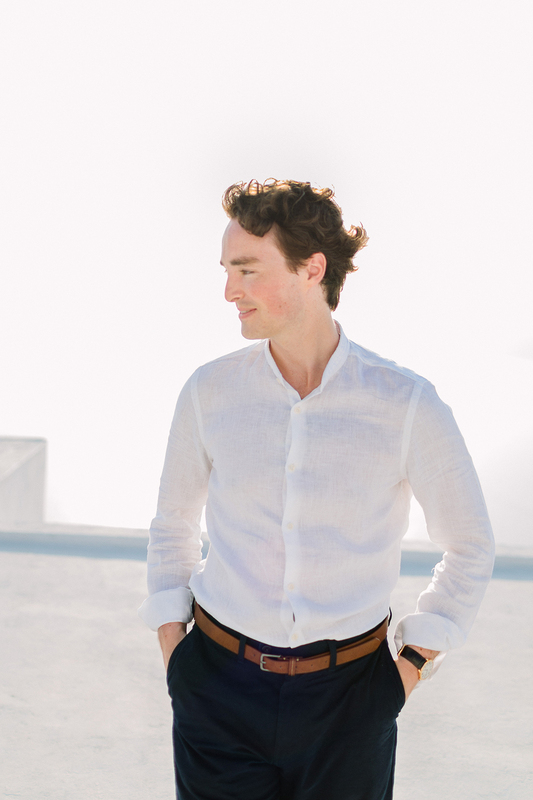 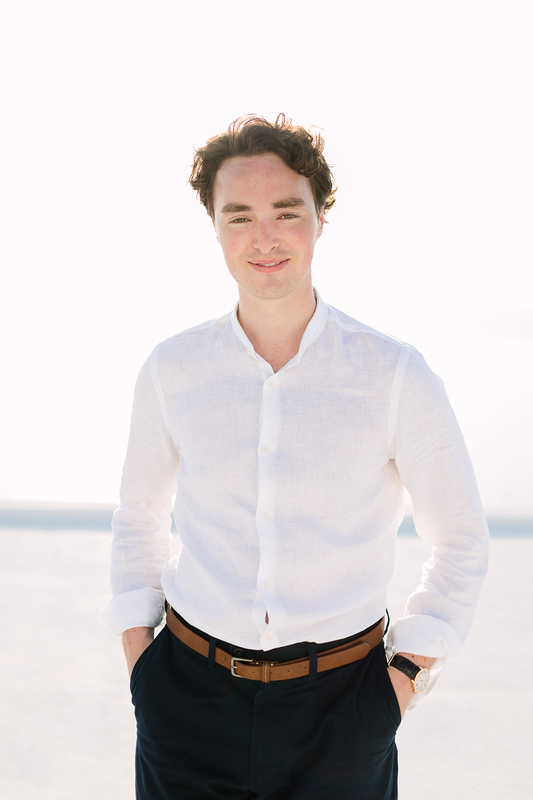 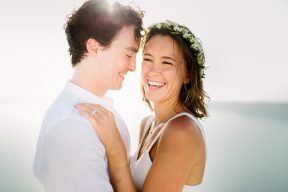 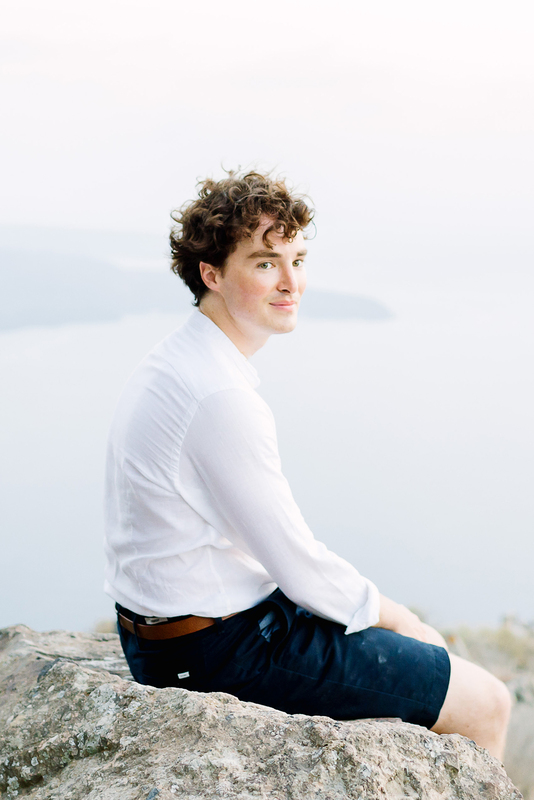 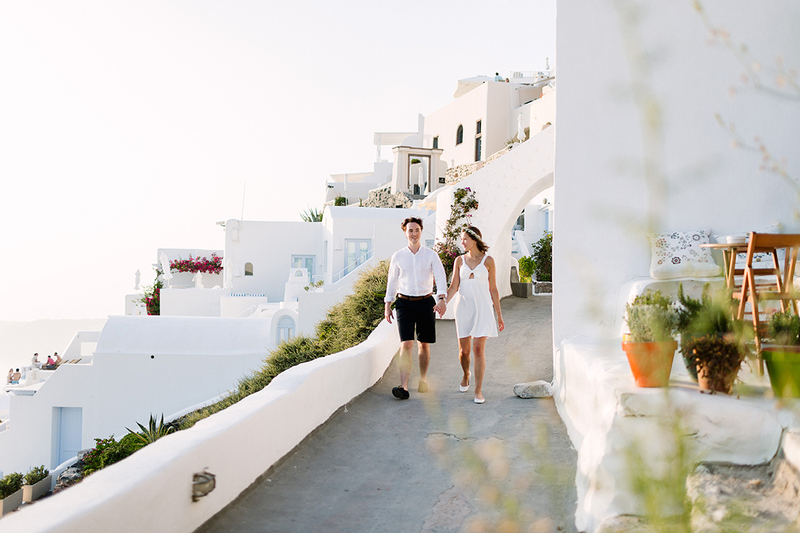 The beautiful whitewashed buildings, the stunning Ocean views and coastlines – it’s pretty magical, and what an amazing setting for your engagement session too! 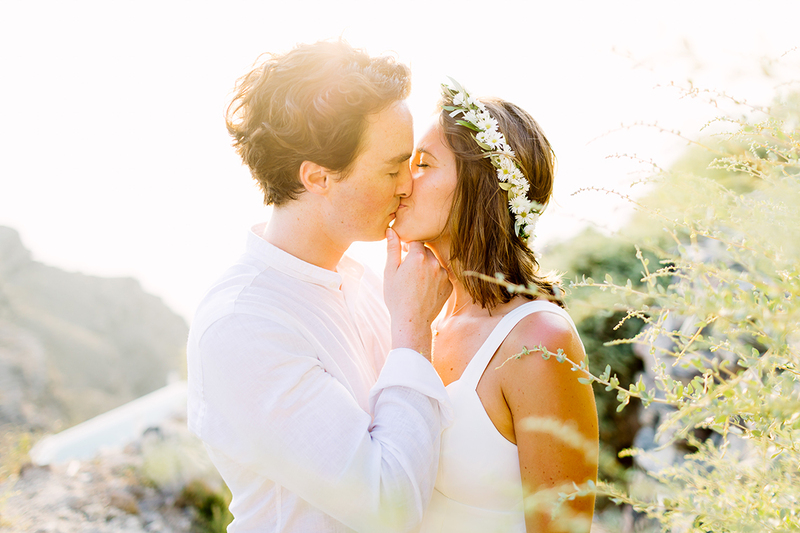 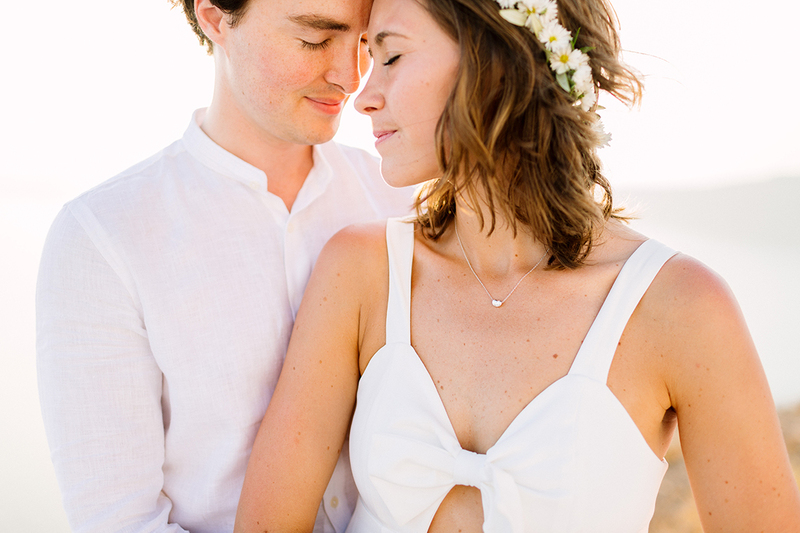 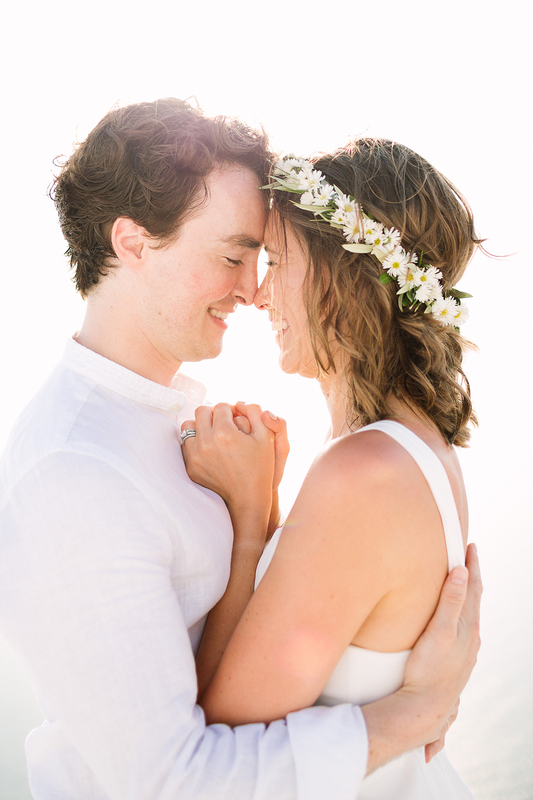 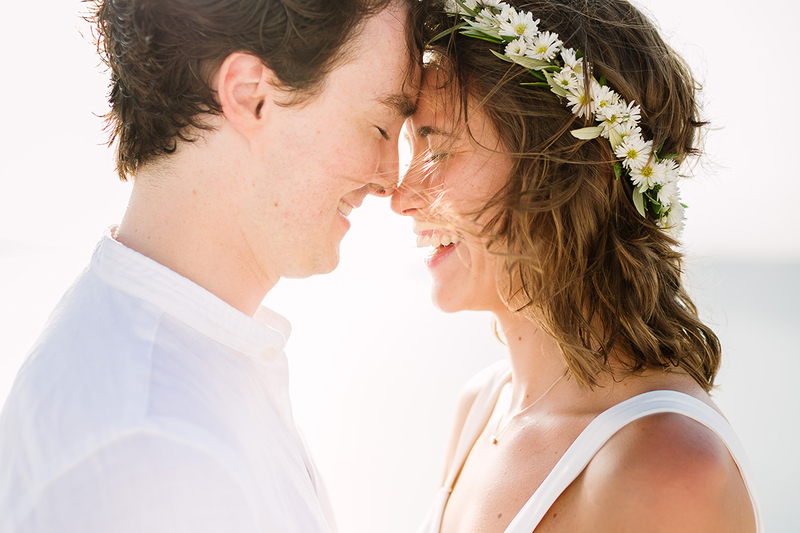 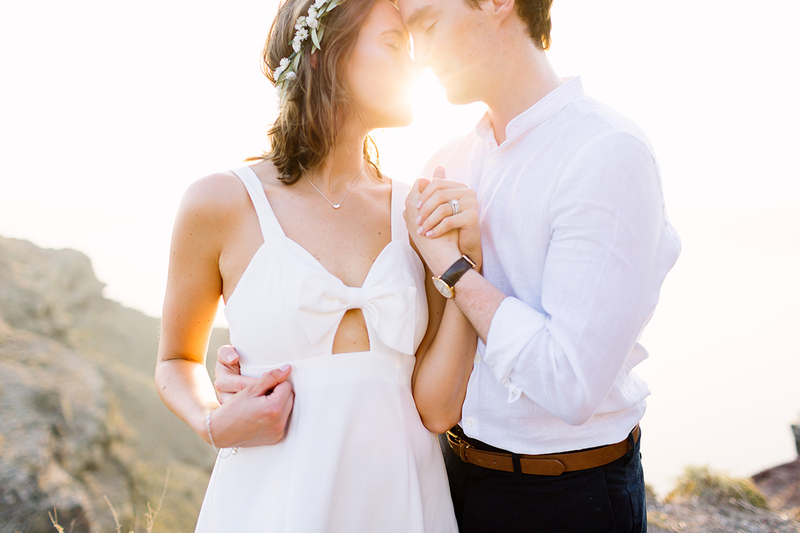 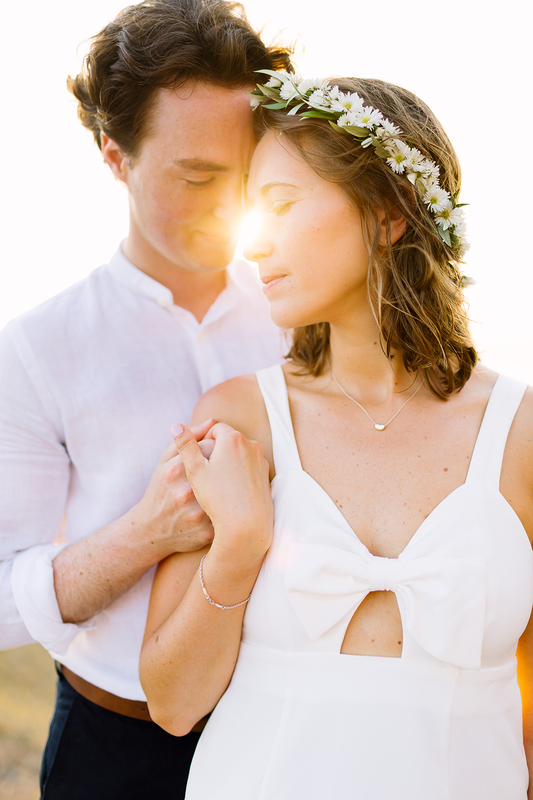 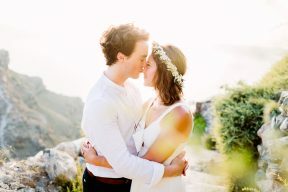 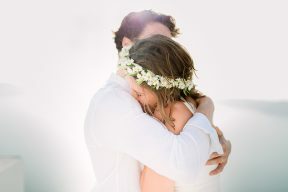 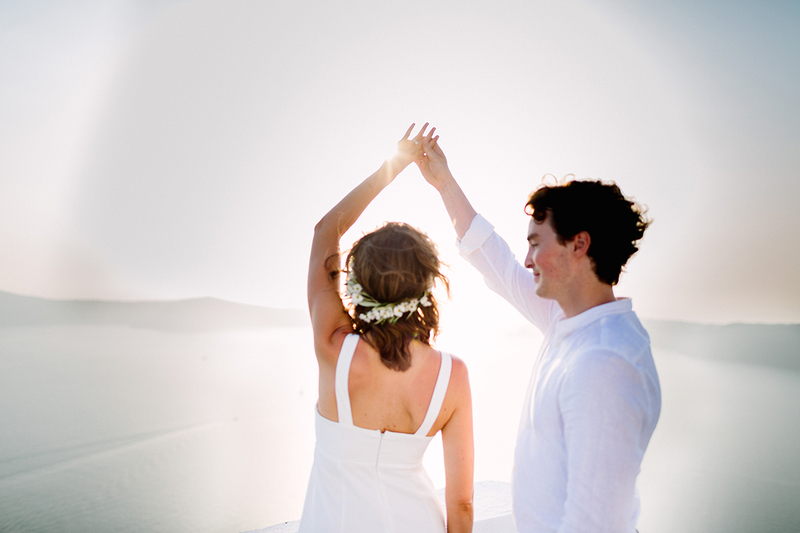 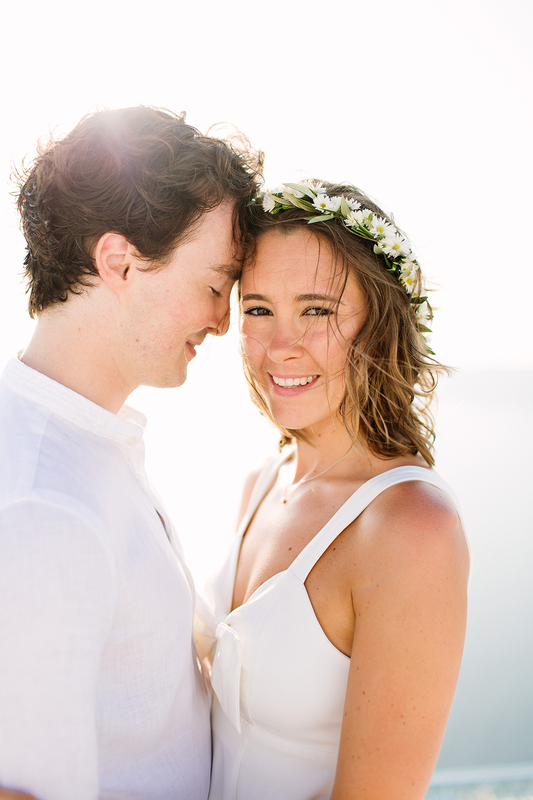 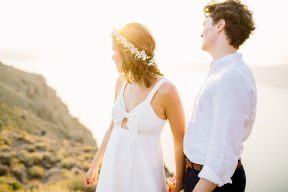 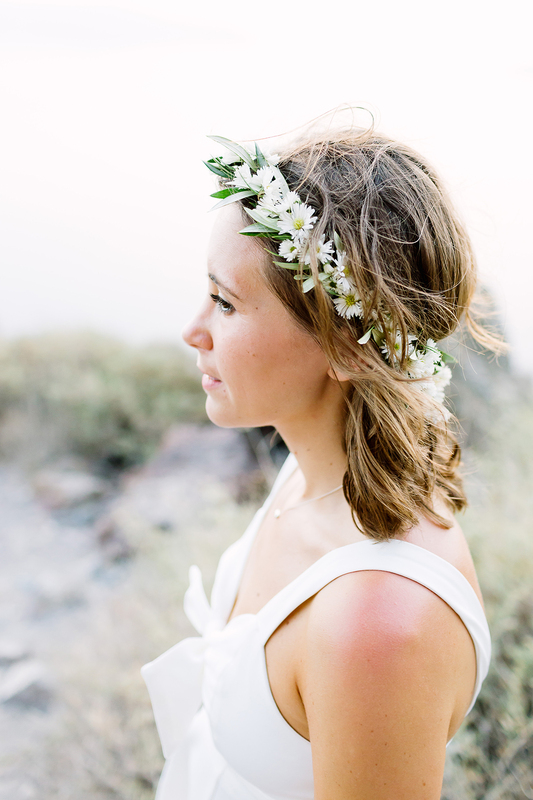 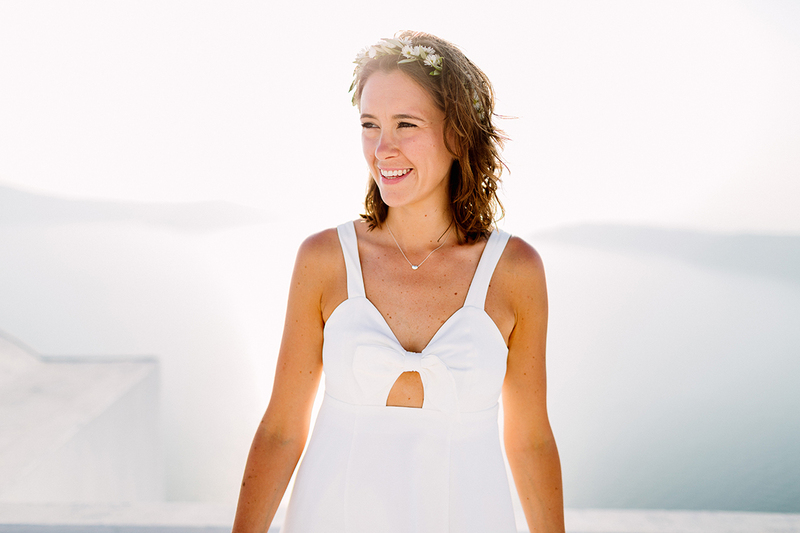 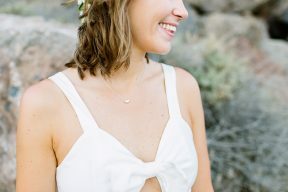 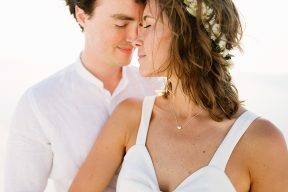 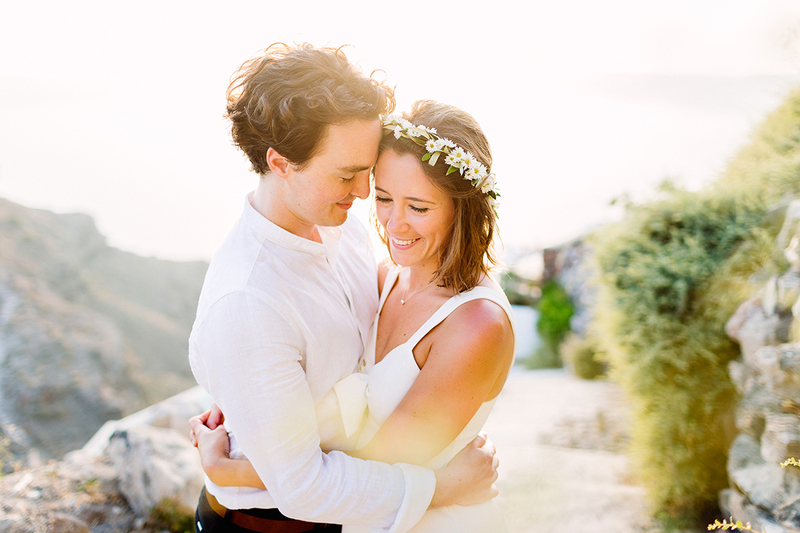 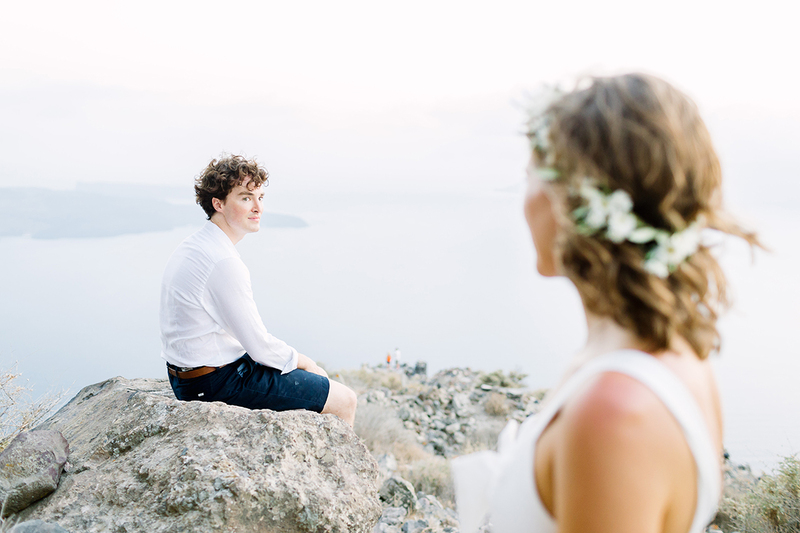 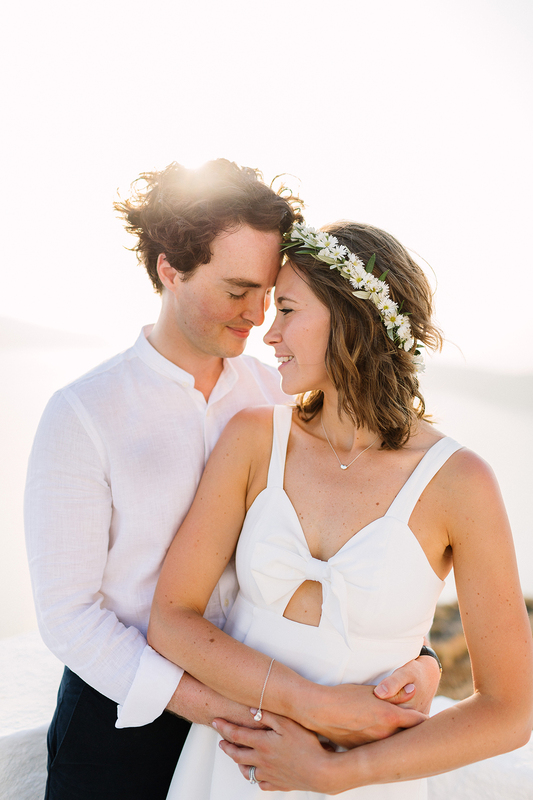 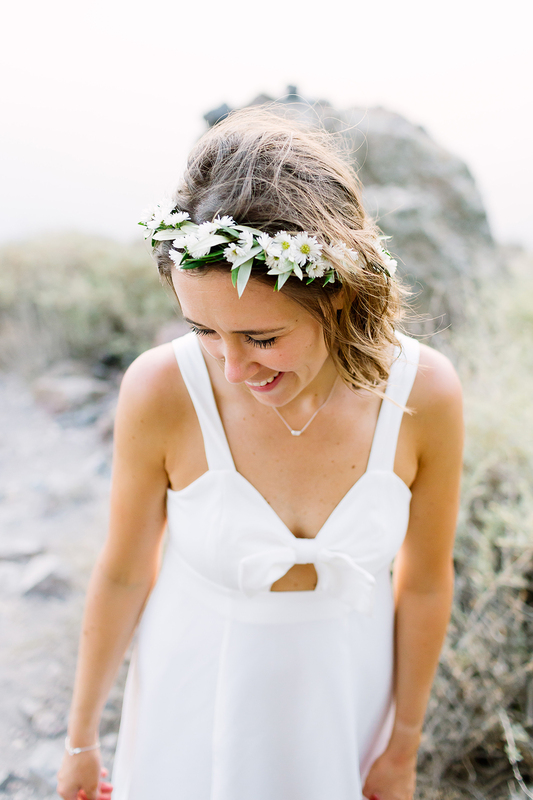 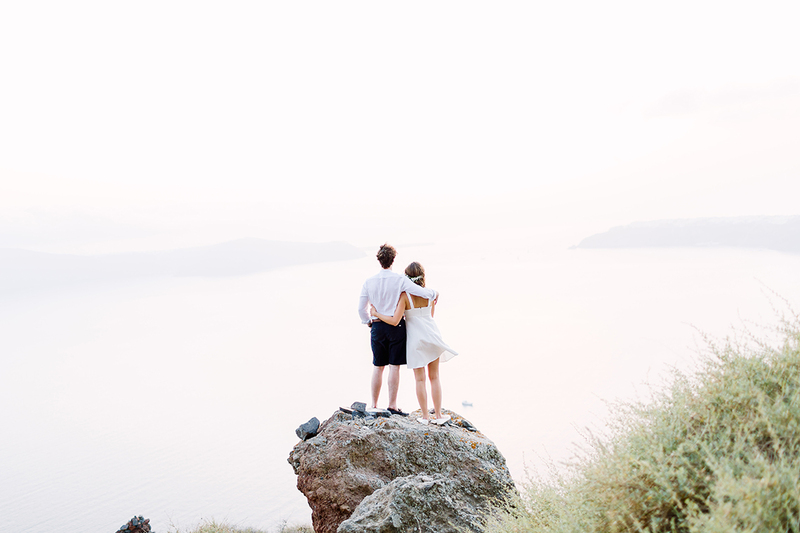 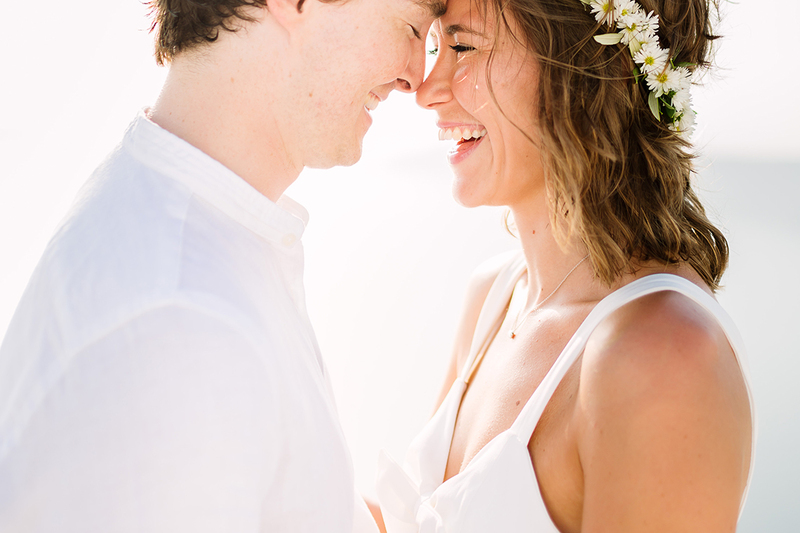 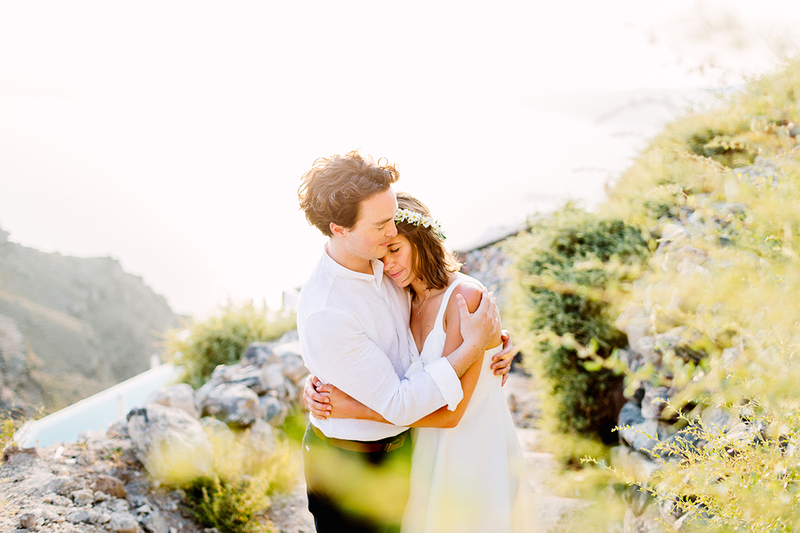 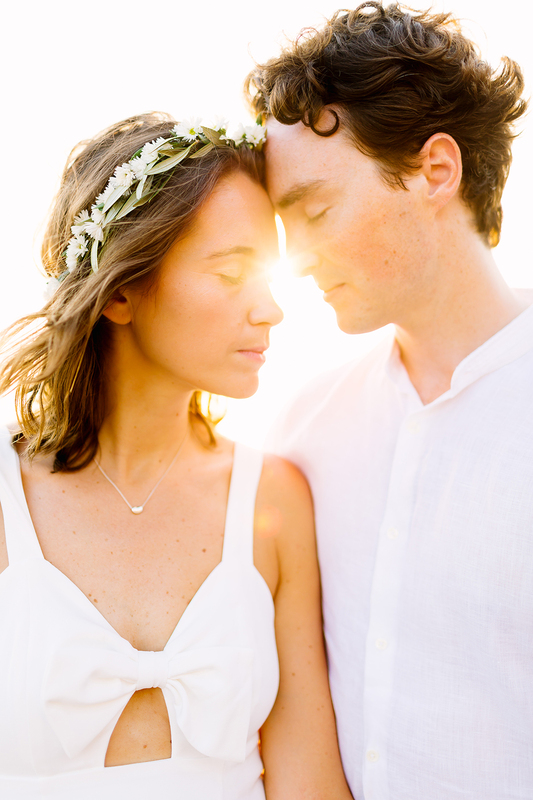 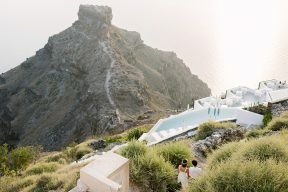 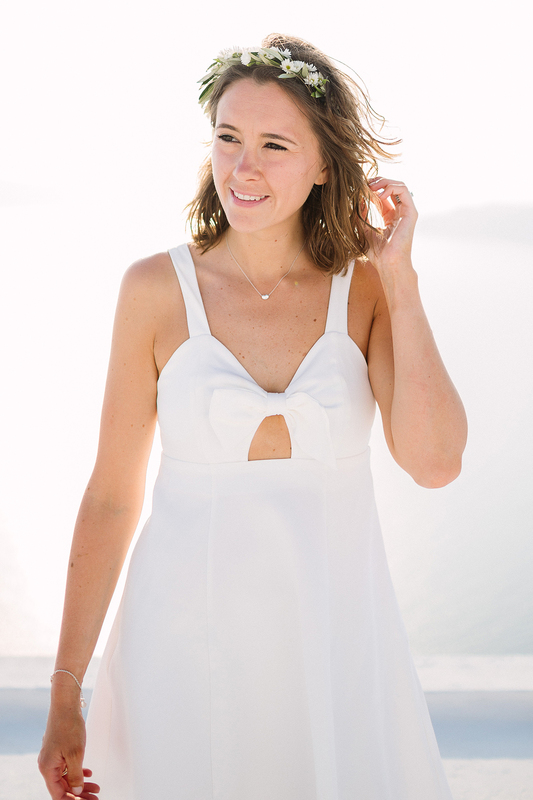 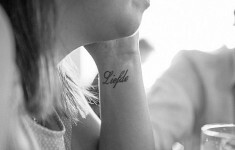 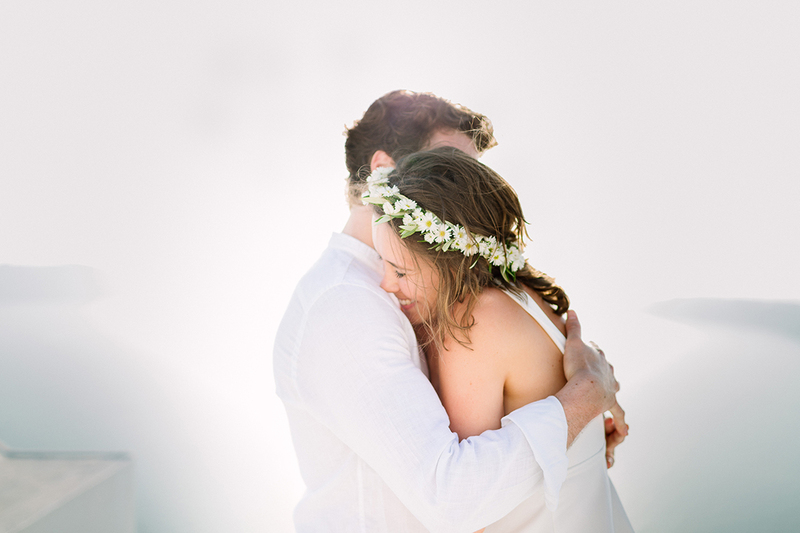 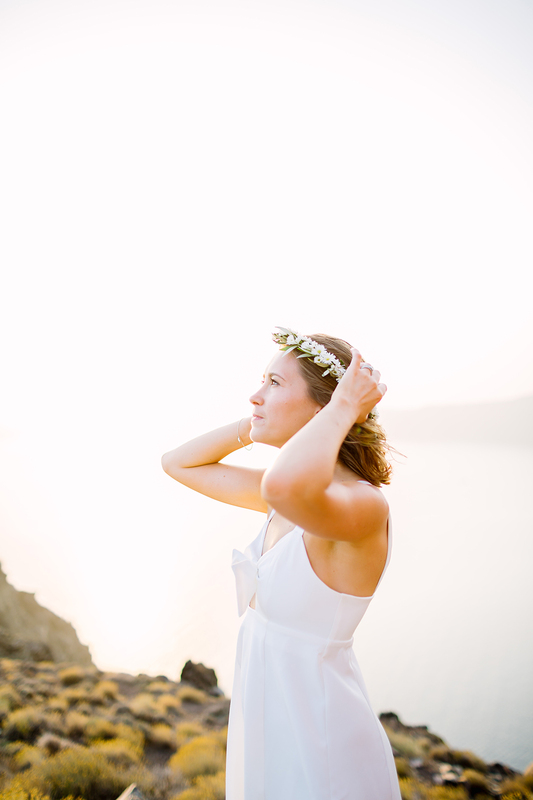 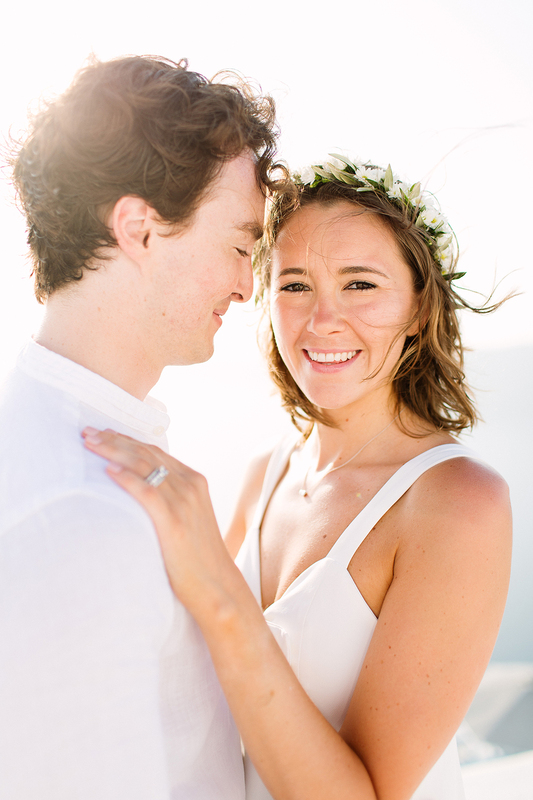 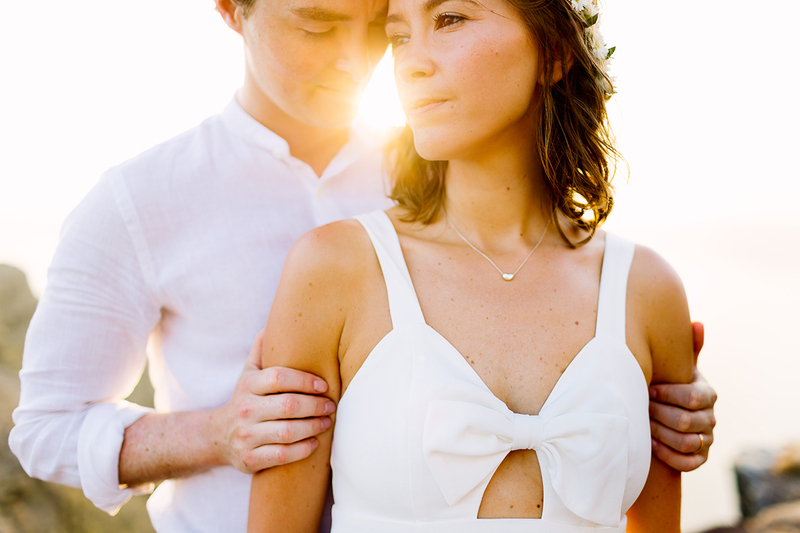 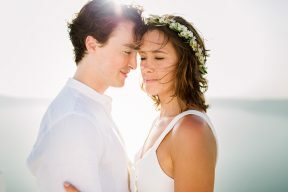 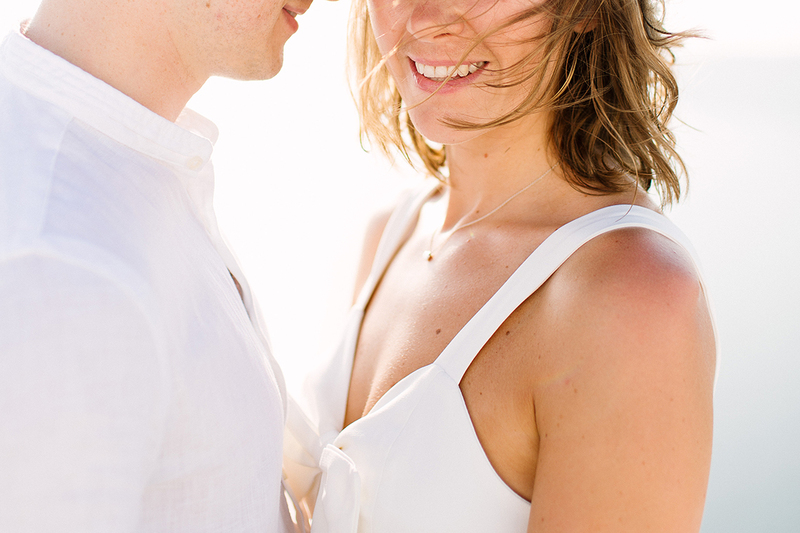 Ilaria Petricci Photography captured this darling session for Lucy and Jason, exploring a few different aspects of Santorini and as much as it is filled with the warmth of the sunshine, it’s also filled with their warmth and togetherness too. 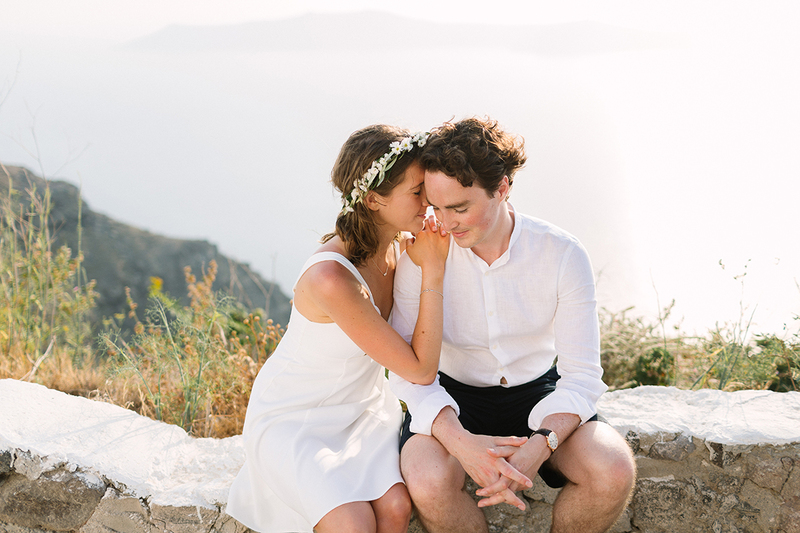 We loved Lucy and Jason’s outfits for the shoot which complimented each other perfectly. 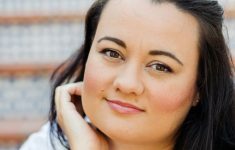 Jason opted for navy chino shorts paired with a lovely white linen summer shirt, and Lucy wore this sweet little white summer dress from ASOS. 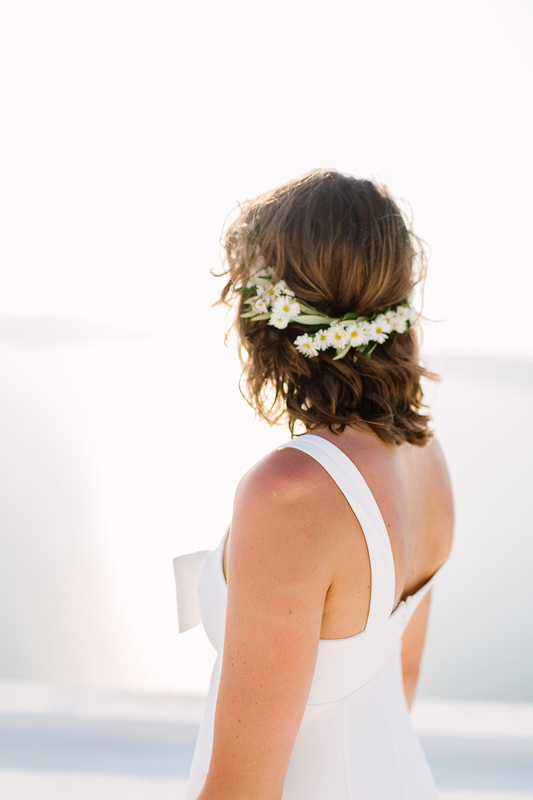 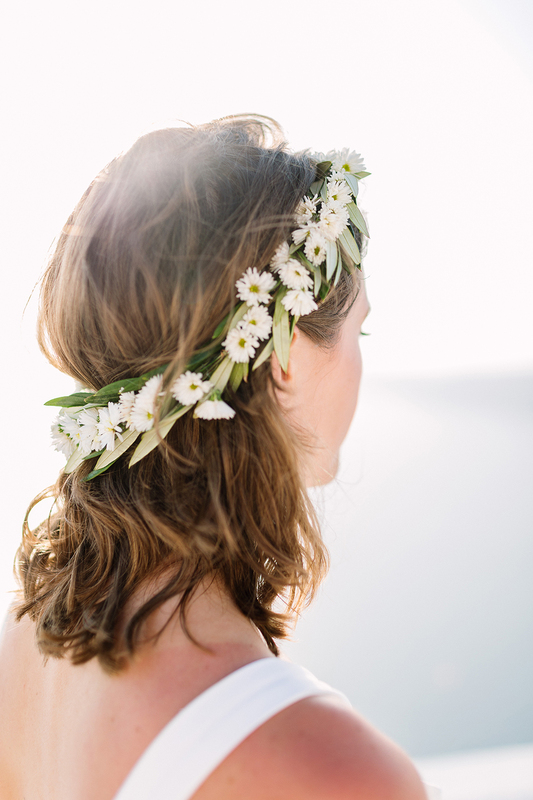 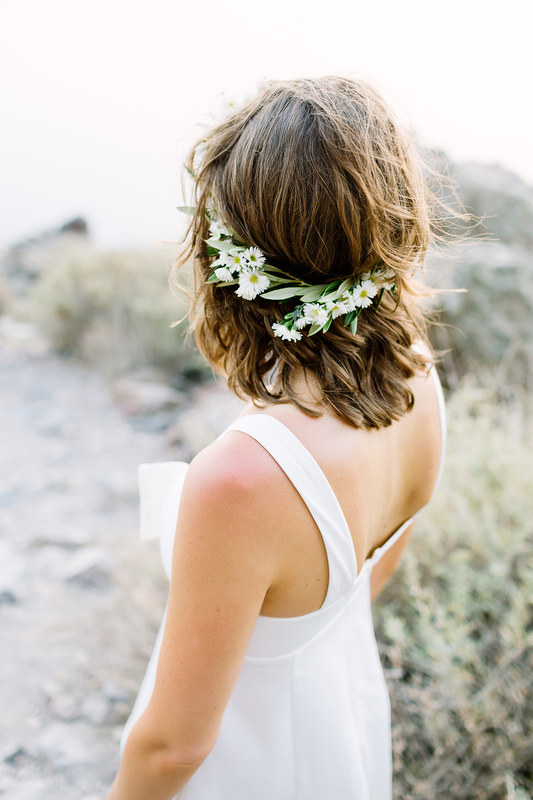 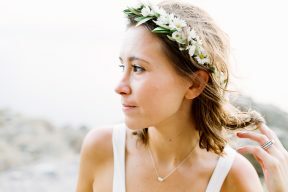 Adding a floral crown of daisies was just the perfect finishing touch! 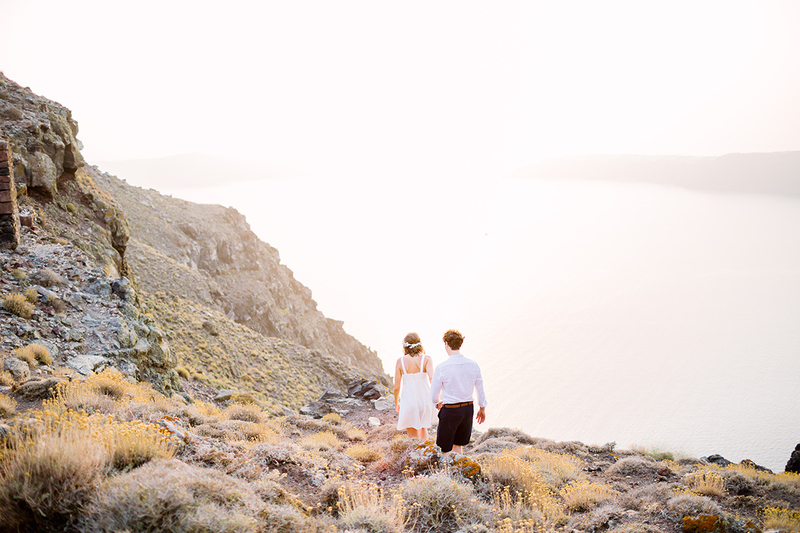 With such interesting backdrops and scenery, it was a fantastic idea to keep their outfits simple and in colour tones which allowed the signature colours of Santorini to shine through too. 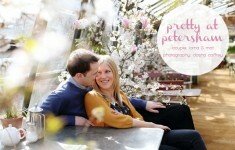 Beautiful engagement session amongst the blossom trees with a pretty picnic.